Mr Hobbs has trained with Sensei Hicks and Hicks Karate School for the past 19 years. He also has martial arts experience in Judo, Tae kwondo, Kickboxing and Karate. 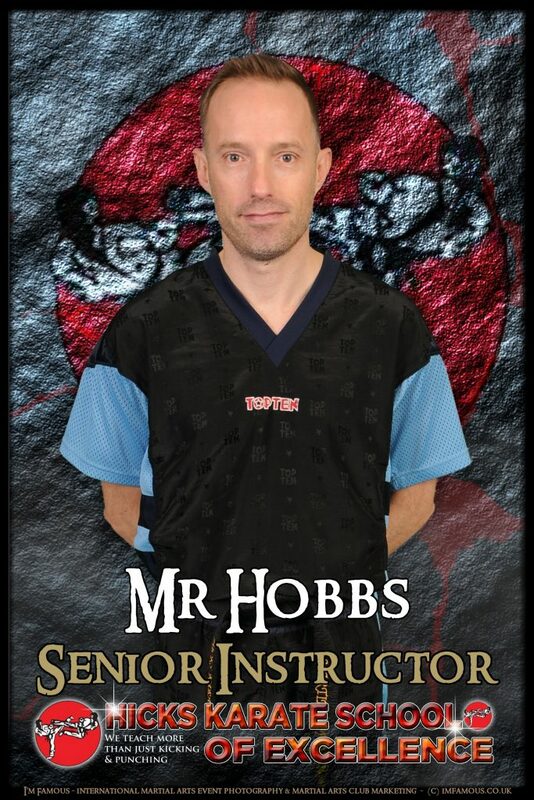 Mr Hobbs has been part of the I.S.K.A and W.O.M.A.A British teams and holds 4 British titles, 3 World titles as well as many other national and international titles. Mr Hobbs passes on his competition and knowledge as the head coach of Hicks Karate Elite competition team and has personally helped train many British, European and World champions. His classes are very popular and he is an asset to our instructor team.